Summer is just around the corner and it’s about time to rearrange the closet. The sweaters are out, the dresses are in. And what little girl doesn’t love dresses, right? So why don’t you surprise your liottle girl and make her a new one, a shirred sundress? Just select the tutorial you like the most and go for it. Yellow is such a great colour for a sunny day. Don’t you agree? Visit Kuki ideas to see the tutorial fot this lovely sunny dress. 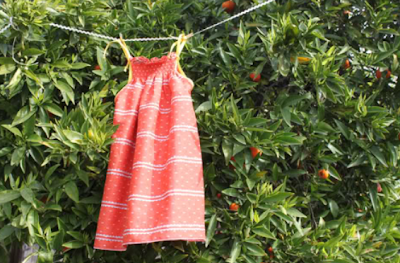 Use light weight fabric if you want to sew this cute little orange dress. You will find the tutorial on Prudent baby blog. 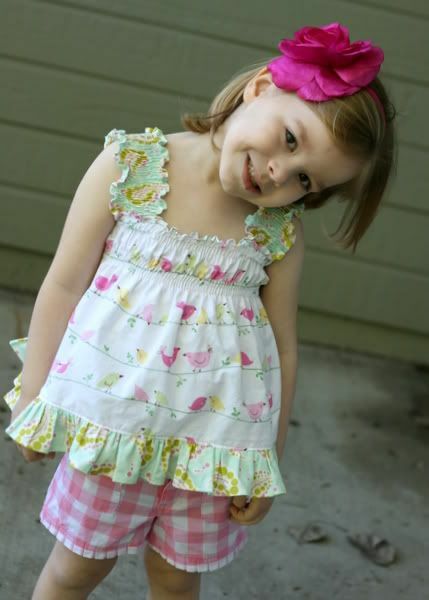 I believe you can make a dress with the same technique used for this shirred top. Just make it a bit longer. Angel from tada! Creations will share with you her technique. Do you have a sunny fabric for this project?